If you are a back sleeper, you have to invest in a pillow that offers adequate head, back, and neck support. Concurrently, it should keep the spine aligned, so that you won’t have to cope with back pain or muscle strain. To that end, you need a pillow that offers a decent amount of firmness, as it will take the contour of the head and neck. Thus, it will maximize your comfort. Selecting your pillow depending on your preferred sleeping position is recommendable as it will help you to get a well-rested sleep, night after night. Nevertheless, considering that we all have different needs, you should choose the best pillow for back sleepers by taking these necessities into account. Rest assured; this guide will walk you through the process of selecting an appropriate pillow that addresses your specifications. Who Should Buy a Back Sleeping Pillow? What Kind of Pillows Suit Best to Back Sleepers? How Does a Back Sleeping Pillow Work? It maintains the spine aligned: A pillow for back sleepers will provide support, maintaining the natural curvature of the cervical spine. Concurrently, it supports the head, neck, and shoulders. If the spine isn’t straight, you might cope with muscle strain or discomfort. It reduces acid reflux: Statistics indicate that no less than 20 percent of the United States’ population has GERD. One way of coping with this condition is by sleeping on your back. By elevating the head, gravity plays its role by preventing the stomach acid from reaching the esophagus, thus, causing discomfort and burns. 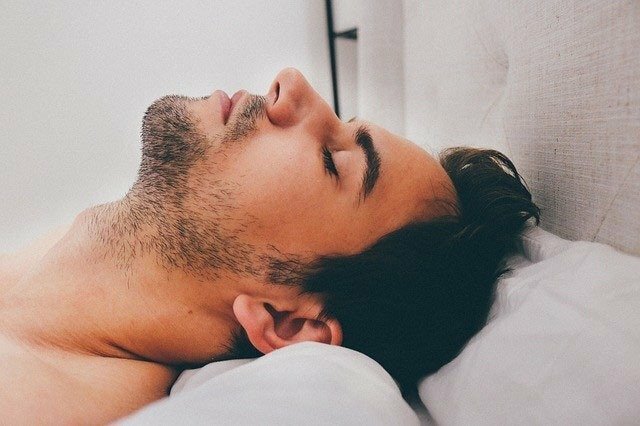 It can diminish back and neck pain: Considering that back sleeping pillows are created to offer sufficient support, they are a decent alternative if you often cope with back pain or muscle strain. It offers support: The key to a good night’s sleep is waking up well-rested and energetic to get things done. Still, in order to accomplish that, your pillow should offer sufficient support. This is one of the benefits of choosing a pillow for back sleepers. A firm pillow will offer support, preventing your neck from hyper-extending, or falling back. When you’re shopping for pillows, it makes sense to get the one that is targeted for your preferred sleeping position or the position you should adopt to prevent pain and muscle strain. If you’re a back sleeper, you are part of the minority of people who adopt this position. Nevertheless, although it’s not so common, some doctors indicate that it’s the healthiest one, as it maintains the spline aligned. On that note, your preferred pillow shouldn’t be too firm or too soft. Therefore, getting a back sleeping pillow featuring the right balance is the right choice. It will support the head, neck, and shoulders while keeping the spine aligned in its natural curving position. At the same time, placing a pillow under the back of the knees can help. That’s because it minimizes the pressure applied to the spine. It also supports the lower back. According to statistics, 31 million Americans cope with back pain, at some point or another. Additionally, one of the leading causes of back pain is the p.m. pose you adopt. So, sleeping on your back can help. If you adopt this position, your body’s weight is evenly distributed. This means you exercise minimum strain on the pressure points. Simultaneously, this is translated into better spine alignment. The best pillow for back sleepers should meet certain specifications, especially when it comes to thickness and firmness. If you get these two aspects wrong, it will harm your entire sleeping routine. Choose a pillow that is too soft, and your head is likely to sink backward, which would imminently result in neck and shoulder pain. Nevertheless, a pillow too firm might make your neck feel stiff, which could also lead to discomfort and aches. Therefore, finding a pillow with a medium level of firmness is of the essence here. On a different note, if the pillow is thick, just as most pillows are, this will propel the chin forward. That will mess up the spine’s natural curve, which, obviously, might further cause pain and discomfort, especially in the long run. Stand next to the wall, imagining that you’re lying on your mattress. Rest the head against the wall: as you do that, you’ll realize that the neck and head aren’t aligned with the spine. It’s up for your pillow to fill in the gap. Place the pillow between the wall and head and analyze the alignment of the spine. If you have the perfect pillow, you should be looking straight ahead, and the neck should be straight, as well. That would outline that the spine, neck, and head are adequately positioned. Your pillow doesn’t affect your neck and head only. In truth, your pillow has the role of keeping the spine in the right position. A back sleeping pillow should fill the space between the neck and the mattress. As a matter of fact, a sleeping pillow targeted for back sleepers will follow the contour of the head and neck. Thus, such an item would support the neck, without lifting your head too high and causing strains or ache. To that end, a back sleeping pillow will maintain the neck aligned with the back and chest. Simply put, a sleeping pillow for back sleepers aims at offering support, distributing the weight of the body evenly, while conforming to the contour of the body. At the same time, it will fit the gap between the head and shoulder, so that the spine is perfectly aligned. Moreover, some back pillows are specifically created to address cervical spine problems, providing sufficient support for optimal comfort and well-being. Memory Foam: Memory foam pillows are all the rage, nowadays. They are preferred by many due to their durability, and the fact that they preserve their original shape. Concurrently, they do a decent job at conforming to the natural contour of the neck and head. So, they offer decent support, especially to people coping with back or neck pain. Latex: Latex pillows have plenty of advantages, which makes them the perfect pick for people suffering from allergies, back or neck pain. Latex is resistant to mildew, being 100 percent organic. It also molds to the head and neck, providing a firm, yet cushioned surface. The only disadvantage is that latex pillows tend to be pricier. Cotton: The good thing about cotton pillows is that they are allergy-free. Also, they have an appropriate combination of flatness and firmness. Nevertheless, over time, they are likely to flatten. Another potential drawback is that it doesn’t contour that well to the neck and head, which could be problematic to some people. Bamboo: Bamboo pillows provide a firm, yet shapeable sleeping surface. Simultaneously, bamboo offers the comfort of down and increased support. In comparison with other options, bamboo is a breathable material, which means the pillow will remain cool throughout the night. Gel fiberfill: This type of pillow is somehow similar to memory foam. The main difference is that it is more malleable and adjustable while offering support. Another excellent aspect is that it has cooling qualities. Thickness: One of the primary elements that influence the quality of your sleep is it's thickness. As we pointed before, the ideal pillow should be thick enough to fill in the gap between your back and mattress, so that your spine is correctly aligned. Firmness: For the most part, pillows designated for back sleepers shouldn’t be too firm. Increased thickness usually results in a boost of firmness. That being said, as a back sleeper, a pillow with medium firmness would be best. It would offer sufficient support while preventing neck and shoulder stiffness. Malleability: The pillow’s malleability is equally essential. This feature refers to the ease with which the pillow follows the natural contour of the neck and head. For instance, whenever you turn your head sideways during your sleep, this exercises a lot of strain on the neck. On that note, malleable pillows conform to the shape of the head and neck. Simultaneously, such a pillow will retain its original shape, thus deterring unwanted neck strain. 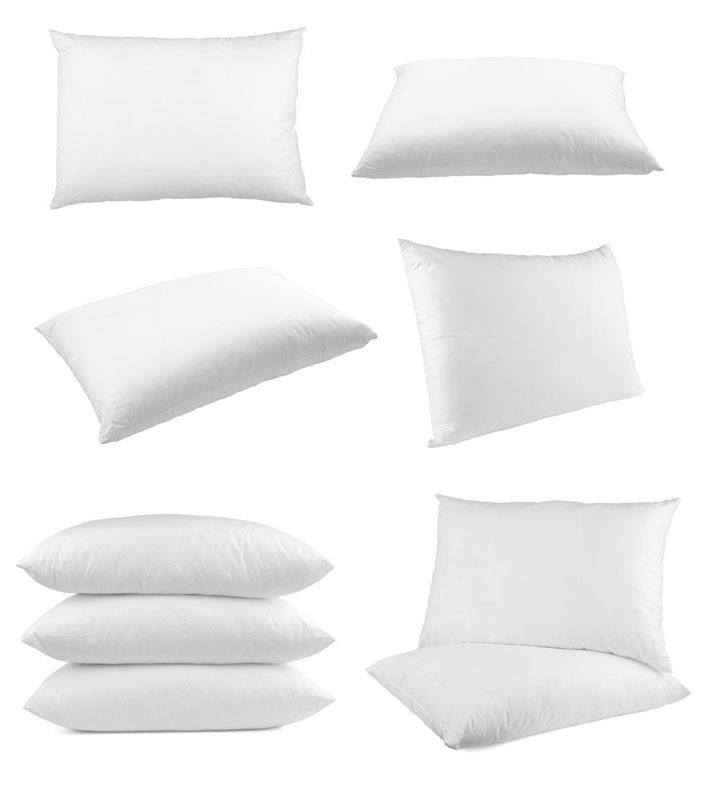 Shape: Another aspect you could consider is the shape of your pillow. Although we’ve become used to the standard pillow shape yet manufacturers have implemented various other shapes. That being said, if aesthetics is an important consideration for you, you should look into this, as well. For the most part, you may choose from the following pillow shapes: 1) Flat, 2) rectangular, 3) Standard, fluffy rectangle, 4) Butterfly-shaped, 5) Classic-curved design. Durability: Evidently, durability is equally important when it comes to choosing your pillow. Still, depending on the material used in the manufacturing process, the pillow might be more or less resistant to wearing out if used regularly. On that note, materials such as memory foam or latex are considerably more durable in comparison with bamboo or feather, which are prone to flat down, in time. The Sahara Nights Pillow is widely popular in hotels. Therefore, after sleeping on it, many people consider investing in one, since it is surprisingly comfortable. Most people swear that the quality of their sleep has dramatically improved after getting this pillow. Some even coped with neck pain beforehand, and the pillow made the neck pain go away. It offers a medium amount of firmness, which is a good alternative for back sleepers. Aside from being outstandingly comfortable, the pillow is made of a combination of cotton and gel fiber. Cotton is hypoallergenic, whereas gel fiber adds an ounce of firmness, offering a balanced feel. The result is the ideal mixture of firmness and softness. Nonetheless, customers who prefer sleeping on firm pillows that facilitate increased support find it too flat or soft. In summary, if you’re an adept of soft pillows in which you can sink, this one will be down your alley. Right balance of firmness and softness. It retains its original shape. Some people think it’s too flat and lacks support. This memory foam pillow is an excellent alternative for back sleepers, as well. And this one will appeal to you if you’re looking for a soft, cool pillow. The main characteristic that sets this product apart is the use of ventilated gel memory foam. It keeps you cool while maintaining the body heat, at the same time. This is a great feature, considering that many people are bothered by pillows that tend to heat up. At the same time, this pillow is created so that it follows the contour of the neck and head. Aside from the cool material, this is a pillow that is surprisingly soft. Most users claim that sleeping on this pillow is similar to resting on a cloud. Nonetheless, people who’d rather sleep on a firm, supportive pillows won’t be satisfied with this product. In fact, there were some complaints noted in this respect. However, other people mentioned that it is too thick. Still, for the most part, this one offers adequate neck and back support. Obviously, whether this pillow suits you or not will depend on your personal preference. Some people were bothered that the pillow had a chemical smell. Its shape and density make it uncomfortable to move the neck and head around. Being especially created to address the needs of back and side sleepers (Also Read: best side sleeping pillow), this pillow boasts a high loft combined with decent firmness and support. The fill aims at adequately supporting the back and neck, keeping the correct spinal posture for a healthy sleep. Another nice feature is that you may throw this pillow in the washer, and it will still maintain its original shape. Moreover, the distribution of the filling is another nice feature. It means that this pillow provides adequate support – on its entire resting surface. Some back sleepers, however, had trouble with the thickness of the pillow, claiming it’s too lofty for their appeal. Others expected a foam-like firmness and were displeased with the construction of the item. Still, these complaints are related to personal taste, as opposed to the quality of the item. Some people find it too springy. The thickness might impair one’s comfort. This bed pillow features 40 independent coils, which mode on their own. This contributes to offering continuous and extensive support to the head and neck area. Featuring silky fibers and a 3D spacer mesh, this pillow ensures optimal breathability, having a cooling effect. In other words, the warm air is continually pushed out, whenever you move your head. It also holds up great, preserving its initial shape. In fact, its durability is one of the main advantages you get with this pillow. Moreover, each purchase is accompanied by a 20-year warranty. If you are somehow a combination sleeper, meaning that you also sleep on your side or stomach, occasionally, this pillow might be a good choice, as it balances three of the most important features one should look for in a pillow: support, firmness, and softness. Nonetheless, bear in mind that some people found it too flat. This isn’t necessarily a flaw of the product, but a matter of personal preference. The silky coils maintain the pillow cool. It cradles your neck and head. According to some people, this pillow is a tad too flat for their preference/comfort. If you’re coping with neck stiffness and pain, this pillow might alleviate your problem, as noted by various clients. If you wish, you may shift the filling of the pillow, depending on your preference. This facilitates plenty of support and firmness. The material used is gel memory foam, in the form of cluster fibers. This unique combination means you get support and softness – all in one pillow. Also, the material is pretty popular as it allows the air to circulate. This deters the pillow from overheating, which could be uncomfortable. The design of the pillow is also notable. Featuring a specialized cervical design, it follows the natural curve of the spine, while supplying support for back sleepers. Additionally, such a design is recommendable for people coping with snoring issues or sleep apnea. On the whole, this is a product that receives a plethora of positive reviews. Most users praised the pillow’s capability of helping them sleep better and bac-pain-free. In the meantime, other users highlighted that breaking in the pillow required some time. But afterward, they found it comfy and supportive. And if you’re coping with neck or back pain, sleeping on your back will definitely help in this respect. The pillows presented in this guide are associated with an excellent mix of features, which is specifically why most users noticed significant improvements in the quality of their sleep and wellbeing. Investing in the best pillow for back sleepers is an assurance that you’ll wake up well-rested and comfortable. Nevertheless, before making your choice, do consider the aspects presented above. This way, you can be certain that you’re getting the perfect pillow for your needs!